John Tavares meets with Sharks and Bruins in L.A. The free agent market opens on Sunday after this five-day negotiating window leading up to it. Only John Tavares truly knows what the best situation is for him. But the toughest competition the Islanders may face as they try to retain their franchise player could very well come from the San Jose Sharks, who can offer a city where Tavares’ every move won’t be scrutinized and a playoff-tested roster with a long history of success. The Sharks and Boston Bruins both sent representatives to the CAA office of Pat Brisson in Los Angeles on Tuesday to make their pitches to the impending unrestricted free agent. The Toronto Maple Leafs and Islanders made two-hour presentations on Monday and the Tampa Bay Lightning and Dallas Stars have meetings scheduled for Wednesday. It’s still possible that other teams may convince Tavares they should get in the door as well. Then will come The Decision. Only the Islanders can offer Tavares, completing a six-year, $33-million deal, an eight-year contract, with the rest of the NHL limited to a maximum of seven seasons. The bidding is expected to start at $11 million per season — the Islanders reportedly already have an eight-year, $88-million offer on the table — and the intense competition for Tavares, who could become the highest-profile unrestricted free agent in NHL history, may push that figure closer to $12 million per season. If Tavares opts to re-sign with the Islanders, who have $32.8 million in salary cap space per CapFriendly.com, that decision could come as soon as Thursday. Islanders president Lou Lamoriello flew to Los Angeles after the NHL Draft concluded Saturday in Dallas and new coach Barry Trotz was also part of the contingent that met with Tavares. But there’s been a local effort to woo Tavares back to Long Island as well. Oyster Bay Brewing co-owner Gabe Haim promised to keep Tavares fully-stocked with beer if he re-signs. And not only did Donald Rosner of Carle Place, who owns Bagel Boss in Manhattan, offer to personally deliver bagels to Tavares “for the rest of your or my life,” he tweeted on Tuesday, “I am pleased to announce that the bagels and spreads have officially been delivered to the offices of CAA Sports,” adding Tavares is aware of the grass-roots effort. Tavares is from Mississauga, Ontario, and there’s always been speculation he’d be intrigued by playing in Toronto’s hockey-crazed market, though that seems counter to his low-key persona. The Maple Leafs have $24.7 million in cap space and Auston Matthews, the No. 1 overall pick in 2016, already has 74 career goals. But the Sharks, who have missed the playoffs just once since 2003 and reached the Stanley Cup Final in 2016, offer a veteran roster featuring Joe Pavelski, defenseman Brett Burns and bonafide No. 1 goalie Martin Jones, with Joe Thornton expected to return as well. They have $18.9 million in cap space. The Islanders have made the playoffs just three times since selecting Tavares first overall in 2009 and have won just one playoff series since 1993. 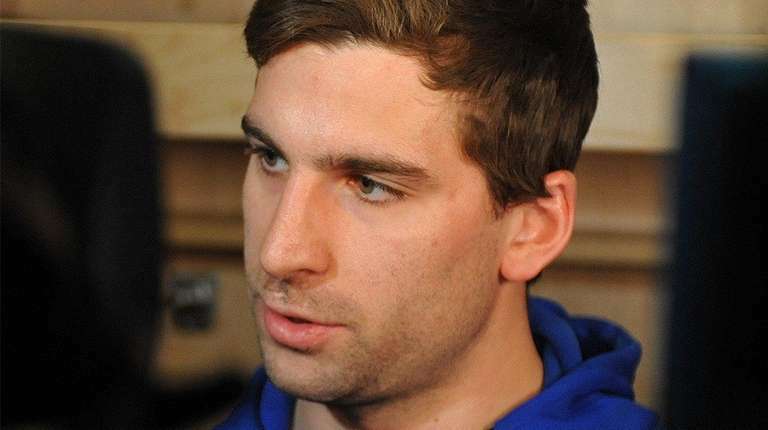 Many NHL teams make pitch for John TavaresThe Maple Leafs, Sharks, Lightning, Stars and Bruins all will make pitches between now and Wednesday in an attempt to lure Tavares away from the Islanders, who selected him first overall in 2009.